Between 1978 and 1996, Devy held several fellowships such as the Rotary Foundation Fellowship, Commonwealth Academic Exchange Fellowship, Fulbright Fellowship, THB Symons Fellowship and Jawaharlal Nehru Fellowship. 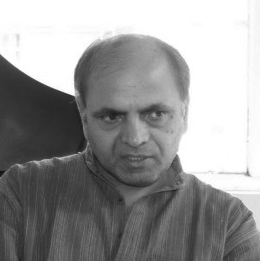 Devy’s major publications in English include In Another Tongue (1993), Tradition and Modernity (1997), Painted Words(2002), Indian Literary Criticism: Theory and Interpretation (2002), A Nomad Called Thief: Reflections on Adivasi Voice and Silence (2006) and Indigeniety: Expression and Representation (2008). The G. N. Devy Reader (Orient Blackswan) containing four of his book length essays was published in 2009. At present he is Chairman of the People’s Linguistic Survey of India, a nation-wide study of over 780 languages, being published by Orient Blackswan in a series of 50 volumes.